A ten-foot-high compound wall of the Regional Telecom Training Centre (RTTC) collapsed onto the Urdu University Road, damaging five cars, some of which were in motion, on Monday. The incident took place in the by-lane adjacent to the Outer Ring Road. The old compound wall, which was made of mud and stone, collapsed at around 9 pm when heavy rains loosened its foundation. 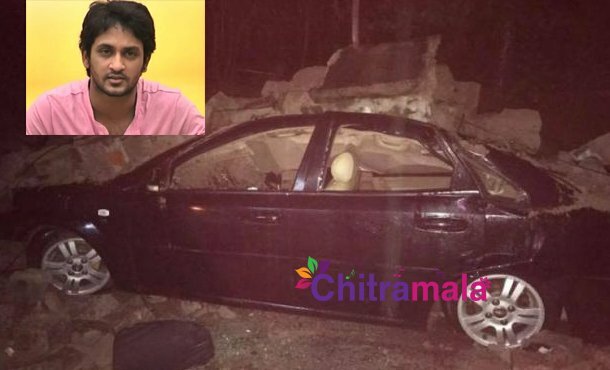 Among the vehicles damaged was the car of Telugu film actor Manoj Nandam.